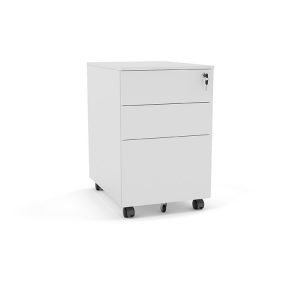 Metal mobile drawer unit with 2 drawers and 1 file, 600 x 390 x 526, Powdercoat finish. 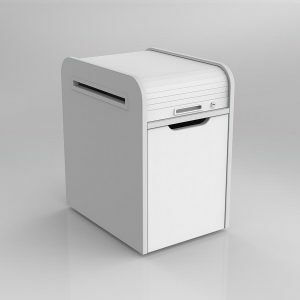 Axis Tambour Mobile Pedestal in studio white. 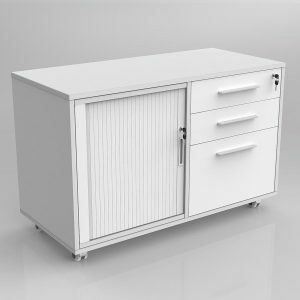 Filing drawer plus rolltop stationery space, locking top section. 570mm H x 320mm W x 498mm D. 18mm melamine construction, heavy duty drawer runner. 5th wheel on file drawer for stability. Axis Caddy mobile bookcase unit 966mm wide x 640mm high x 460mm deep. 18mm top, shelves and base, 18mm studio white carcase, flush joined construction. Set on 5 x heavy duty castors. 2 x adjustable shelves. 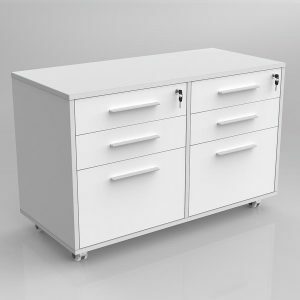 Axis BBF mobile drawers in studio white melamine. 640mm high x 470mm wide x 500mm deep. 18mm construction, heavy duty drawer runners. 5th wheel on file drawer for stability, gang locking. 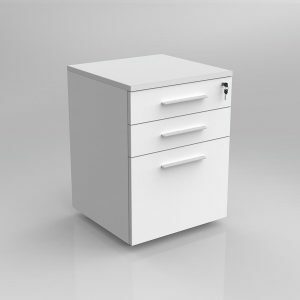 Axis 4 Drawer mobile drawers in studio white melamine. 640mm high x 470mm wide x 460mm deep. 18mm construction, heavy duty drawer runners. gang locking. 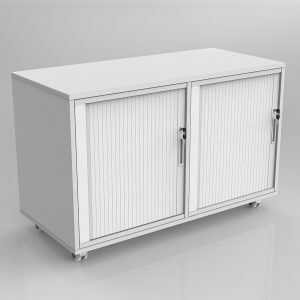 Axis Caddy mobile bookcase unit 966mm wide x 640mm high x 460mm deep with 1 x Tambour insert. 18mm top, shelves and base, 18mm studio white carcase, flush joined construction. Set on 5 x heavy duty castors. Left or RH configuration. 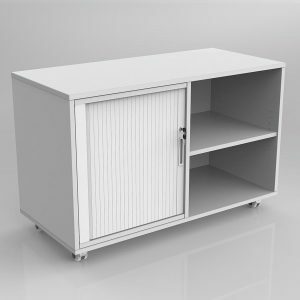 Axis Caddy mobile bookcase unit 966mm wide x 640mm high x 460mm deep with 1 x Tambour insert, 1 x BBF drawer insert. 18mm top, shelves, base and carcase, flush joined construction. Set on 5 x heavy duty castors. Left or RH configuration. 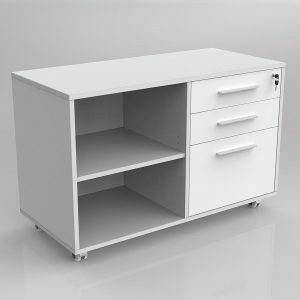 Axis Caddy mobile bookcase unit 966mm wide x 640mm high x 460mm deep with 2 x BBF drawer insert. 18mm top, shelves and base, 18mm studio white carcase, flush joined construction. Set on 5 x heavy duty castors. Left or RH configuration. 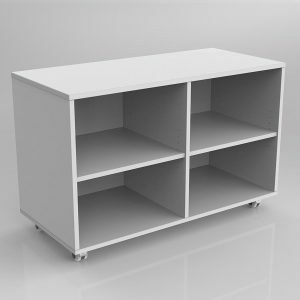 Axis Caddy mobile bookcase unit 966mm wide x 640mm high x 460mm deep with 2 x Tambour insert. 18mm top, shelves, base and carcase, flush joined construction. Set on 5 x heavy duty castors. Left or RH configuration.